Kidney stones are an incredibly painful experience for anyone who suffers for them. While anyone is able to develop kidney stones, most individuals who do suffer have a family background of kidney stones and they also are more likely to develop the stones multiple times. Kidney stones is usually the development of solid calcium in the kidneys. usually, the calcium passes through the body during urination, but it stays inside the kidney, it starts to develop into the larger stones. These stones must pass through the urinary tract in order to exit the body, although the major problem with this is it can also cause a urinary tract infection as well. 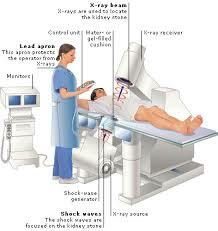 Additionally, if the kidney stones become too large in the kidney, a lithotripsy procedure must be performed. This is the procedure in which the doctor uses sound waves to literally break apart the stones. This makes the calcium smaller and able to pass through the body without the same sort of pain the person would normally have to deal with. After the procedure, the stone debris is able to pass through the kidney without much trouble, and the entire process usually is going to take less than an hour. There is no pain associated with the procedure, so most patients do not need to receive any sort of anesthesia and remain awake during the process. It really is no different than going in for an ultrasound or an X-ray. This way both keeps the pain level down and the actual cost of the procedure down. Stone developments inside of the body are rather painful, and while there are other formations of stones in different areas of the body, kidney stones are the most common. Thankfully, with the help of the lithotripsy procedure, the individual can pass these stones rather easily.